Scientific evidence proves that time spent in nature increases creativity, helps prevent depression, and improves our overall health. But, many children replace time in nature with tablets, smartphones & video games. Excessive screen time is associated with increased childhood obesity, mental health issues and social skill problems. How do we get kids out in nature? 1. Psych Them Up For the Adventure: Half of the fun of going on vacation in the great outdoors is the planning. Encourage your children to search the National Park website and discover the wildlife, scenery, and activities before you go. 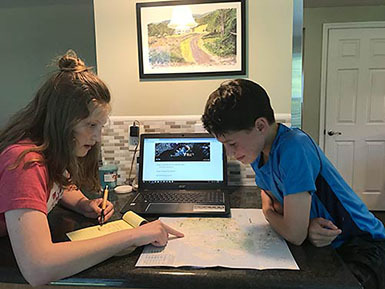 Let them map out a hike online and create a daily itinerary. This builds excitement and incorporates technology as a functional tool. 2. 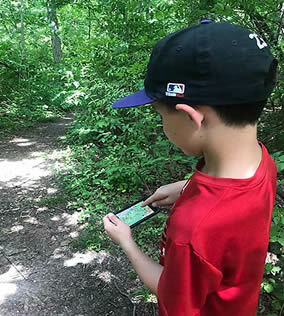 Load Up with Outdoor Apps: Inspire your children to research and download the many useful and helpful apps that are available and teach them how to use their devices as survival/learning tools. There are free GPS apps that can be used to track their location in an emergency and keep them from getting lost. There are also weather apps, plant & bird identification apps, star gazing apps, apps to locate cell service, national park apps, and so much more. 3. Explore All the High-Tech Adventure Equipment: Tech savvy kids will enjoy learning about the all the high tech camping equipment like the hiking stove with a cell charger, solar battery chargers, satellite phones, headlamps, and digital pedometers. They can research the many search engines for camping and survival techniques and learn how to make some of their own equipment. 4. Clear for Take Off—Airplane Mode On: Discover the usefulness of devices without a signal. Remote nature areas tend to have limited cell service. To preserve battery power, turn all active programs off, turn the power-saving features on and switch to airplane mode. Teach kids to use their smart phones to create a digital scrapbook, record a daily journal, or blog. 5. Be A Tech Savvy Nature Role Model: Establish a sacred time that everyone is unplugged and paying attention to one another around the campfire or on a hike. Do the ranger talks and enroll the kids in the Junior Ranger Program. Set up a specific time each day to go to the location in the park that has a cell signal to check your messages and allow your kids to upload and share a text, snap chat or Instagram to engage their friends in their adventures in nature. Technology is an integral part of children’s lives and we need to embrace it. 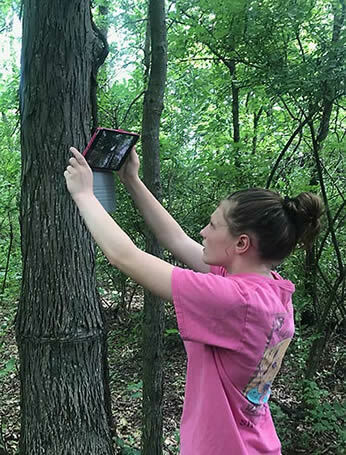 Incorporating technology on your adventure will help your children learn and explore using the latest gadgets just like Lewis & Clark once did while benefiting from time spent in nature. 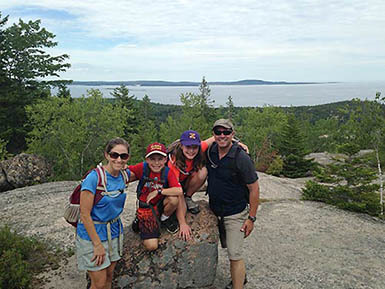 Jeff Alt, renowned family hiking and camping expert, is the author of a new book in his award-winning national park youth series, The Adventures of Bubba Jones: Time Traveling Through Acadia National Park (June 4, 2018 release). Jeff’s mission of this book series is to inspire kids with cool facts about our national parks so that they want to go explore them. Jeff Alt is an avid outdoor enthusiast and traveling speaker who conducts family hiking seminars and national park time travel programs. Jeff has walked the entire 2,000-mile Appalachian Trail and the 218-mile John Muir Trail with his wife. He has trekked across Ireland with his wife, young daughter, and extended family. His son was taken on his first hike at 8 weeks of age. 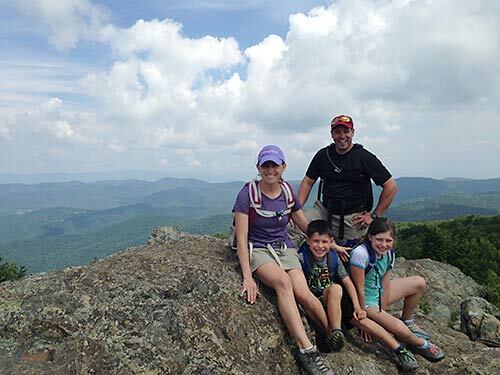 Jeff is an award-winning author of 6 outdoor books (A Walk for Sunshine, Four Boots One Journey, Get Your Kids Hiking, and three books in The Adventures of Bubba Jones national park series). He is a member of the Outdoor Writers Association of America (OWAA) and the Society for Children’s Authors and Illustrators (SCBWI). 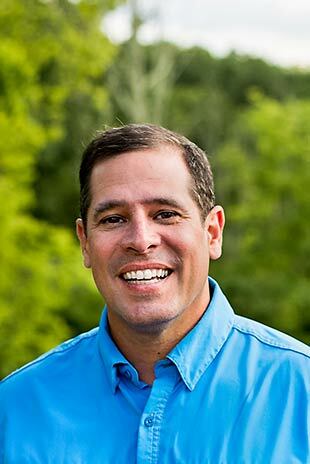 His expertise and books have been featured in Scholastic Parent & Child, DiscoveryChannel.com, ESPN, Hallmark Channel, Backpacker, Shape, TEDx, Live Science, Women’s Health and more. Jeff has combined his live long outdoor talents and over 15 years engaging kids to learn as an educator into writing the Adventures of Bubba Jones series. Jeff lives with his wife and two children in Cincinnati, Ohio.